Did you miss out on registering to run in the 2019 Skyway 10K? Well, now is your chance to run a 5K on the wide open runway at Tampa International Airport. TAMPA, Fla. — Did you miss out on registering to run in the 2019 Skyway 10K? Well, now is your chance to run a 5K on the wide open runway at Tampa International Airport. 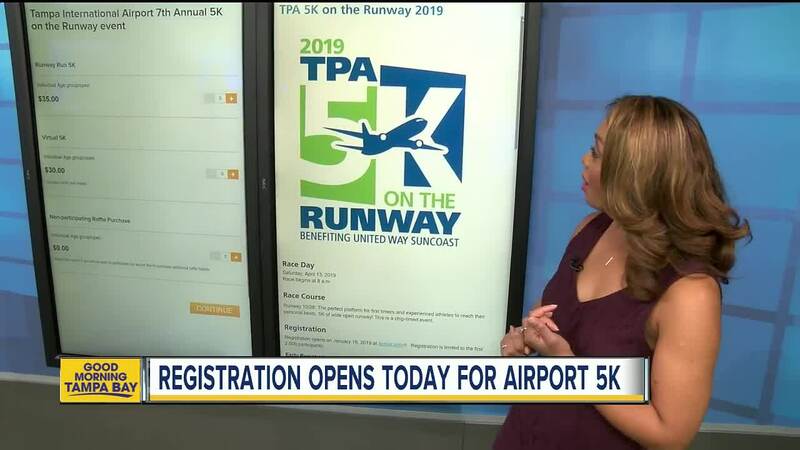 Registration for the 2019 TPA 5K on the Runway race opens Wednesday, January 16 and is limited to the first 2,000 runners. Race day is on Saturday, April 13 at 8 a.m. Early registration is $35 and helps support United Way Suncoast . Runners will receive "a cool race shirt and the opportunity to experience Tampa International Airport like few people do!" For more information on the 2019 TPA 5K on the Runway or to register, click here .